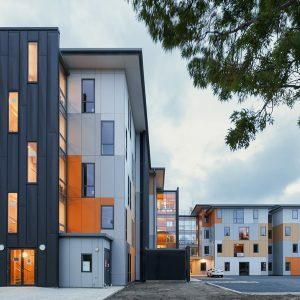 Our Te Pa Tauria – Otago Polytechnic Student Village project is a finalist in the NZ Wood Resene Timber Design Awards 2018 in both the Engineering Innovation and Multi-storey Timber Buildings categories. Award winners will be announced at the Gala Awards Dinner on 20th September 2018. Read more about the NZ Wood Resene Timber Design Awards 2018.